Signs Emerge Of A Compromise On Obama's $3.7B Immmigration Request : The Two-Way The president wants the money to deal with the thousands of minors from Central America who have crossed into the U.S. Republicans said they want some policy changes; Democrats aren't opposed. Immigrants from Honduras and El Salvador who crossed the U.S.-Mexico border illegally are stopped in Granjeno, Texas, on June 25. President Obama asked Congress this week for $3.7 billion to cope with thousands of minors from Central America who are illegally crossing the U.S. border. A compromise appears to be emerging between Congress and the White House that would lead to the swift deportation of thousands of minors from Central America who have illegally crossed the border into the U.S. Earlier this week, President Obama asked Congress for $3.7 billion to deal with the situation, and in comments Wednesday, he said the minors would be returned to their home countries. On Thursday, Republicans said they wanted faster deportations, and Democrats said they will go along. House Speaker John Boehner said the U.S. should have two goals in dealing with the situation. "Our priorities are clear: Take care of these children, return them safely home, to their home countries, to their families, and secure the border," he said. House Minority Leader Nancy Pelosi said that wasn't a "deal-breaker." "Let them have their face-saver," the California Democrat said. "But let us have the resources to do what we have to do." At the White House, spokesman Josh Earnest said Obama's $3.7 billion request would address Republican concerns. "The request that was put together by this administration earlier this week does reflect a lot of the priorities that Republican members of Congress have themselves articulated," he said. But Senate Republican Leader Mitch McConnell said Republicans didn't want to give Obama a "blank check" to deal with the situation. "We want to make sure we actually get the right tools to help fix the problem," he said. 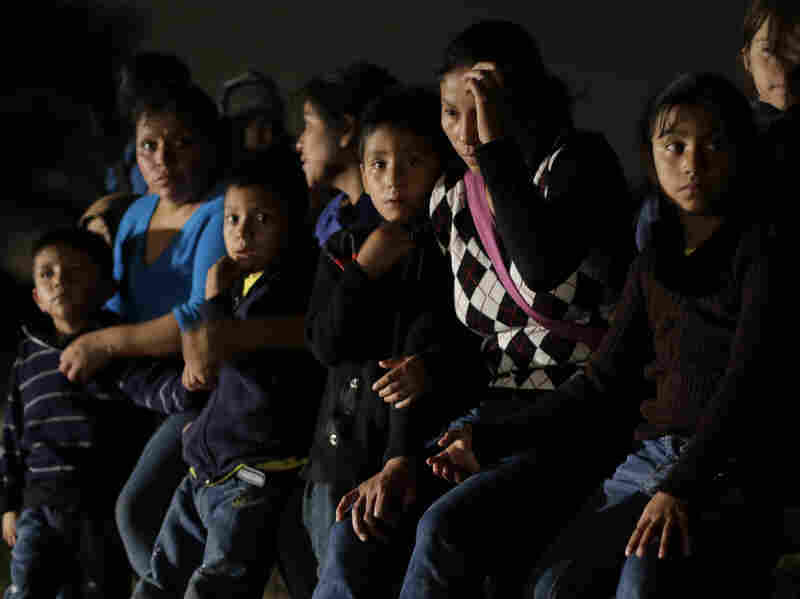 Our Newscast unit notes: Republicans want the government to have the authority to treat children, who are from several Central American countries, the same way as minors from Mexico, who can be repatriated right away — unless they convince the Border Patrol that they have a fear of return that merits additional screening. Meanwhile, Homeland Security Secretary Jeh Johnson defended the spending request, telling the Senate Appropriations Committee that without the money, the U.S. Immigration and Customs Enforcement and U.S. Customs and Border Protection agencies would both run out of funds in the next two months. "While the administration has tried to warn Central Americans that youngsters who cross the border illegally won't be allowed to remain in this country, the reality is that most do get at least a temporary reprieve to stay here. That word has spread in communities where any escape from violence and poverty is often seen as worth the gamble. What's more, as the number of border crossers grows, so does the backlog in immigration courts." And if you're wondering what's causing the situation at the border, NPR's Alan Greenblatt has an explainer.